I decided to give myself a Sunday afternoon off working and needed a quick painting win. 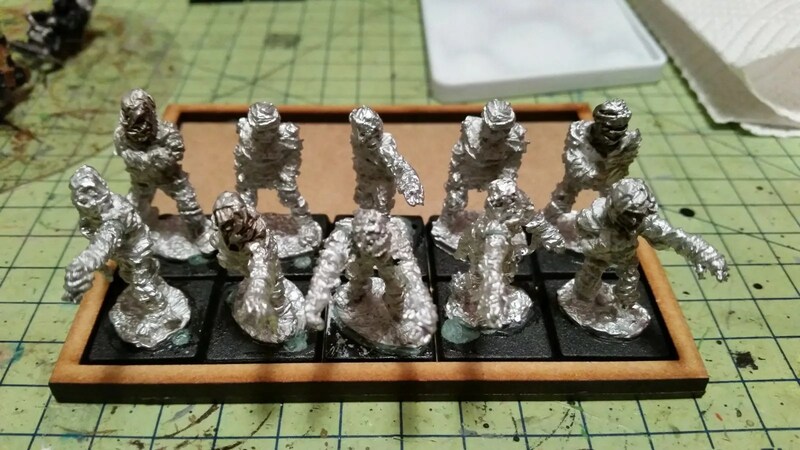 What better way than a batch of 10 Mummies that need very little work to look half decent on the gaming table. 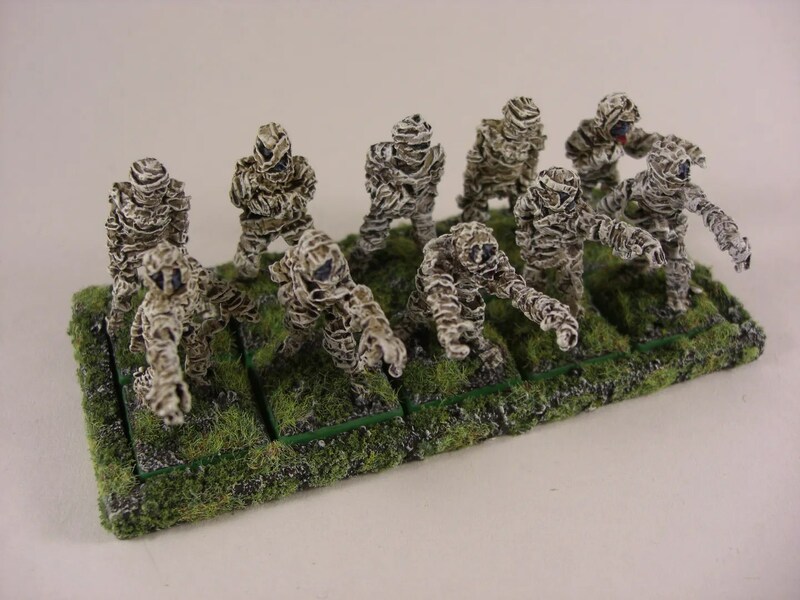 I’d wanted Mantic’s Undead Mummies, but they seem to have been out of stock and vanished from their website, so I finally found some models at a decent price. Check out Thebattleforge. Their Mummies looked pretty decent – even if they were on oldish looking metal bases. Plastic bases were provided with them though. The models came clean of flash, with next to zero in the way of mold lines. 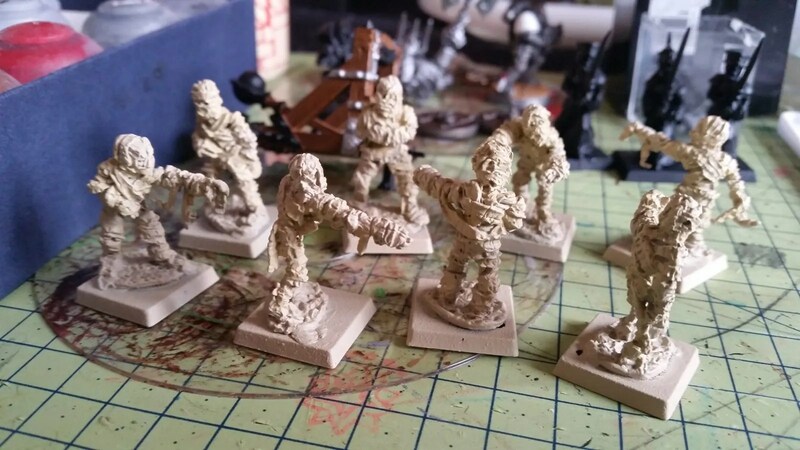 A soapy wash and 3 arms to glue together and they were ready for an undercoat. 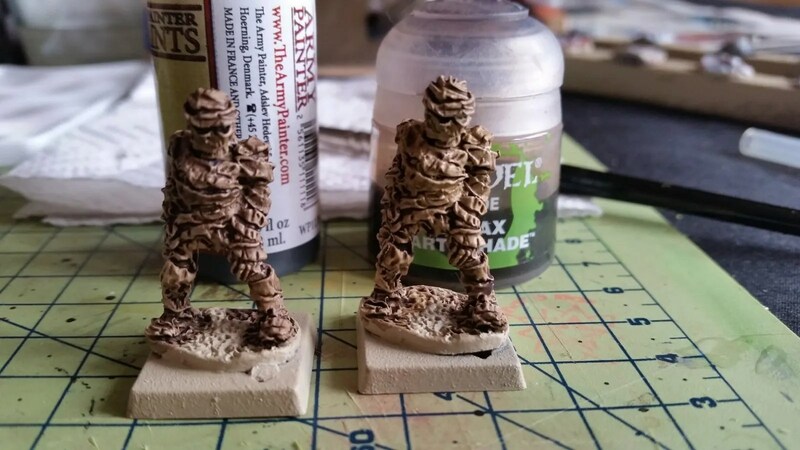 I’ll show the pics below of the models in their raw state, undercoated, 2 ink test subjects, then with a bone and white drybrush. All pretty easy. In fact there was more drying time needed than painting. Quick win. A unit on the table. 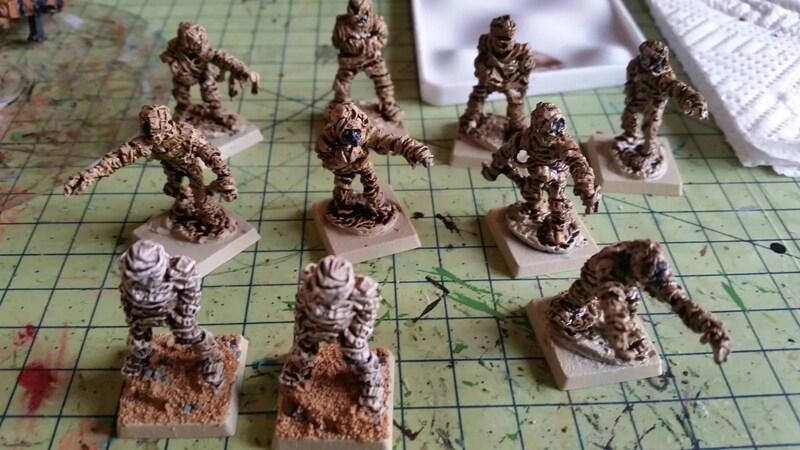 Undercoated with Army Painted Skeleton bone spray. 2 ink test subjects. One with GW’s Agrax Earthshade. The other with Armypainters Strong tone. 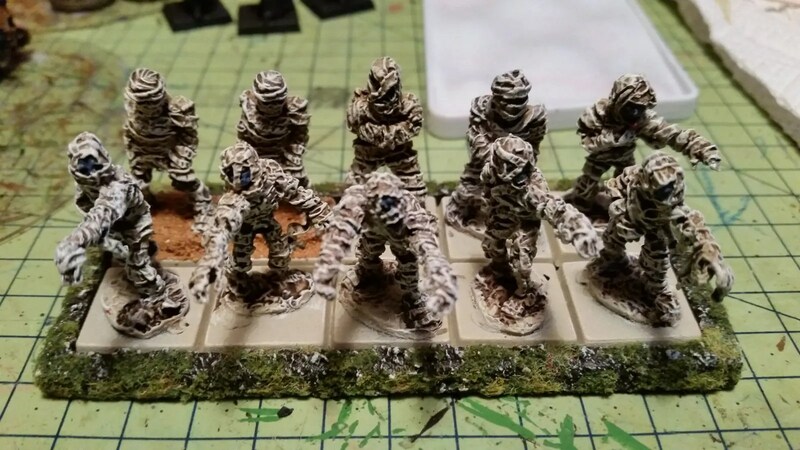 I couldn’t decide which to use so in the end, did 5 mummies with one and 5 with the other for a slight variation in colour. Inked and ready to drybrush. The 2 test subjects seemed to work ok.
Drybrushed and ready to be based. Magnets attached and the Mummies hold securely on the movement tray. Finished unit. A quick win for painting in the spare couple of hours I had.